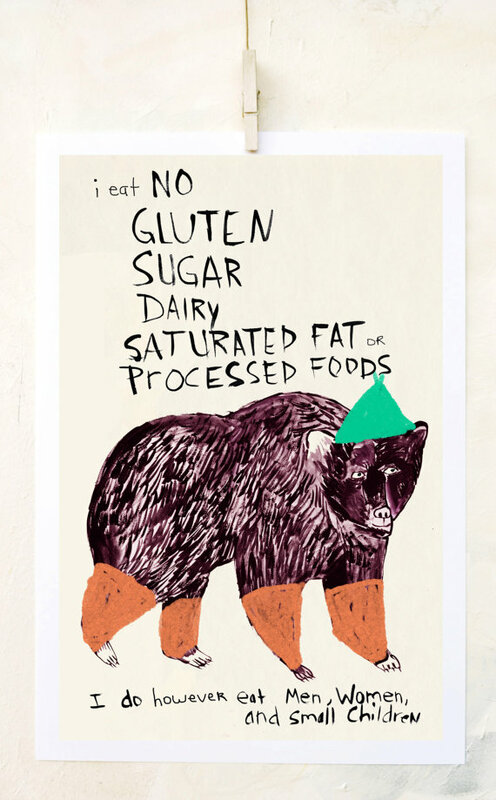 Glutenfreelady.nl is a blog about living without gluten (and dairy). My motivation to eat without gluten is Celiac disease and Hashimoto’s (autoimmune diseases). Ten months after following a strict diet the tissue transglutaminase antibodies (tTG-IgA) in my blood vanished. I managed to regain some energy and to alleviate multiple body symptoms. I experienced how toxic some foods can be for people with sensitive digestive tract. Despite the gluten and dairy free diet the antibodies attacking my thyroid did not vanish. Instead of feeling better (as I was treated with the synthetic thyroid hormones) I keep feeling worse. This is why I decided to switch to the Paleo diet in May 2015. The medical researcher and an award-winning PhD in Medical Biophysics Sarah Ballantyne and her colleagues from a medical world promote the Paleo diets as a way to heal the intestines and autoimmune imbalances. I am slowly approaching the elimination diet Paleo AIP (Autoimmune Protocol), which proved to solve many symptoms bothering people with Hashimoto’s. If you are committed to improve your health and willing to stay open-minded in order to achieve it – you found the right place! Everyone who follows gluten free diet, if for medical reasons or not, can benefit from the tips I share. Contact me by email (kasia[at]kandb.nl), Instagram, Facebook, Twitter or Pinterest. I am always happy to hear from you. I am Kati. I was born in a small touristic town on the Baltic Sea Coast in Poland. For the last 7 years I lived in Arnhem, the capital of the greenest Dutch province – Gelderland. I love research and I love food. I finished technical university in Poland in faculty of food engineering. I received a master degree in specialization of nutrition for diabetes. In The Netherlands, I have been doing research on plant- and dairy-derived proteins in a sector of Food Technology. My personal interest lays in exploring functionality of food ingredients. Looking for gluten and dairy substitutes is my daily task now. Besides, I am fascinated by the effect of food on our health. Living abroad and working in multi-cultural environment is the most valuable lesson I received from life. I learnt to think outside the box and stay open-minded. As mentioned above, I have been diagnosed with autoimmune thyroiditis (Hashimoto’s) and Celiac disease. The first biopsy of my small intestine showed a 3rd degree of damage on the Marshal’s scale. My vitamins and minerals were severely depleted. I suffered from an extremely low vitamin D level and iron-dependent anemia. I have to follow a gluten free diet for the rest of my life. Besides, I react strongly to dairy, both lactose and casein. I watch reactions of my body to food I am eating very carefully. I realize that once your digestive system is compromised, it is sensitive to many ‘common’ food additives and processing aids. I try to avoid the triggers of my body complaints and improve the quality of my life by eating ‘clean’ food. Do you want to improve your own well-being? Follow me for my healthy and balanced gluten free lifestyle tips! I hope to ‘see’ you around.